FLUXUS® measures flow rates non-intrusively with ultrasound. Clamp-on ultrasonic transducers are simply mounted on the outside of the pipe. 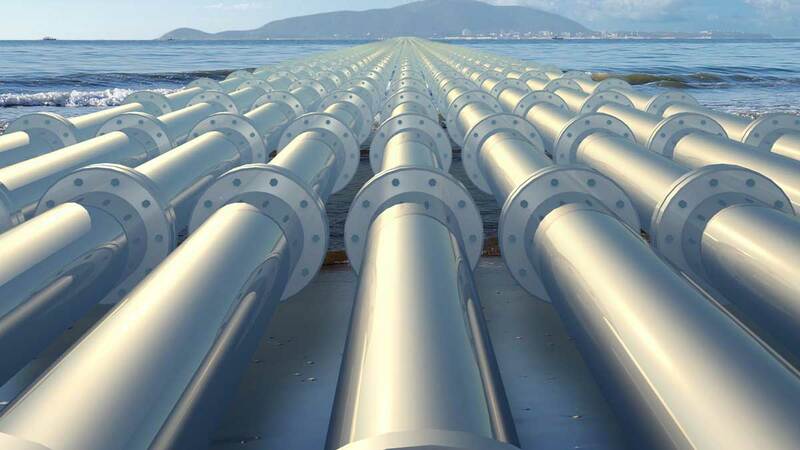 The practical advantages are obvious: no wear and tear by the medium flowing inside the pipe, no risk of liquid leakage or fugitive gas emissions, no pressure loss and, above all, unlimited plant availability. Whether it is for liquids, compressed air or gas, extreme temperatures, high pressures, highly variable flow rates or thick walled pipes, the FLUXUS range of permanent and portable flowmeters is the measurement system of choice. Highly accurate, reliable and rugged, the flow meters are suitable for applications across industries such as petro/chemical, water/wastewater, food & beverage, pharmaceutical, power, HVAC as well as in general manufacturing and processing. Superior transducer signal technology enables the use of a coupling pad instead of the traditional gel (which can dry up over time) to be used between the transducer and pipe wall on permanently mounted flowmeters. Flexim offers stainless steel reinforced matched pair transducer cables for unrivalled durability and reliability. 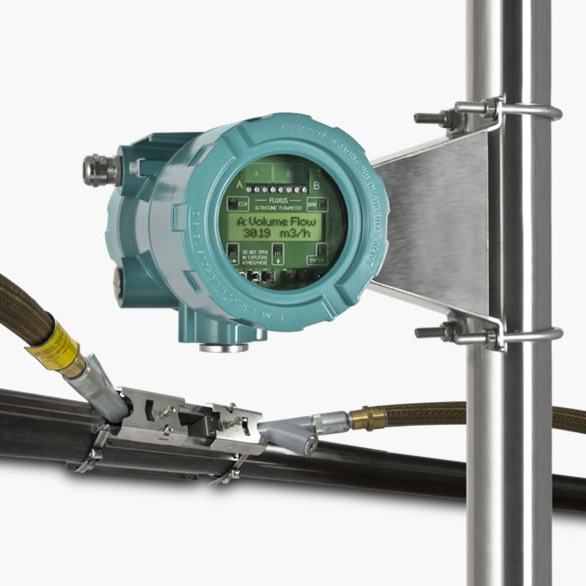 Portable flow meters use a rugged Lemo connector to ensure trouble free operation. Robust mounting rails with mm graduation can be used to ensure exact positioning of the transducers for optimized accuracy on larger pipes. IP 68 rated transducers are also available. 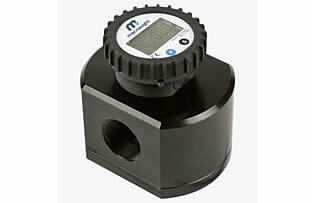 IECEx Zone 1 approved flowmeters are available for installation in hazardous areas. This covers both liquids and gas applications. DNV-GL Type Approval Certification for the F721/G721 transmitter in combination with a selection of transducers is now available. The F/G721 complies with the DNV-GL rules for the classification of ships, offshore units and high speed craft for the marine industry. 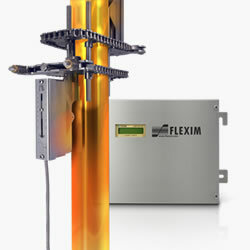 FLEXIM offers the ideal non-invasive technology to measure the flow of most liquids. Highly accurate, reliable and rugged, the flow meters are suitable for applications across industries such as petro/chemical, water/waste water, food & beverage, pharmaceutical, power, HVAC as well as in general manufacturing and processing. 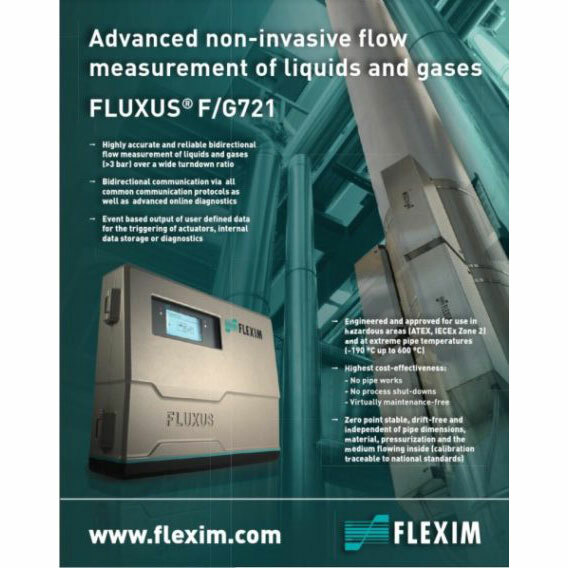 Flexim sets the benchmark in non-intrusive measurements of compressed air and gas by employing advanced lambwave technology producing accuracy and reliability on both metal and plastic pipes. An onboard datalogger and real-time advanced diagnostics provides verification of measured values. 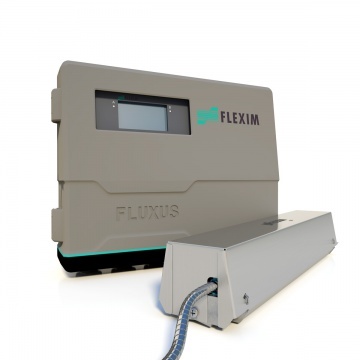 FLEXIM offers the ideal non-invasive technology to measure energy usage and efficiency on heating loops and chillers as well as for energy allocation in commercial buildings. 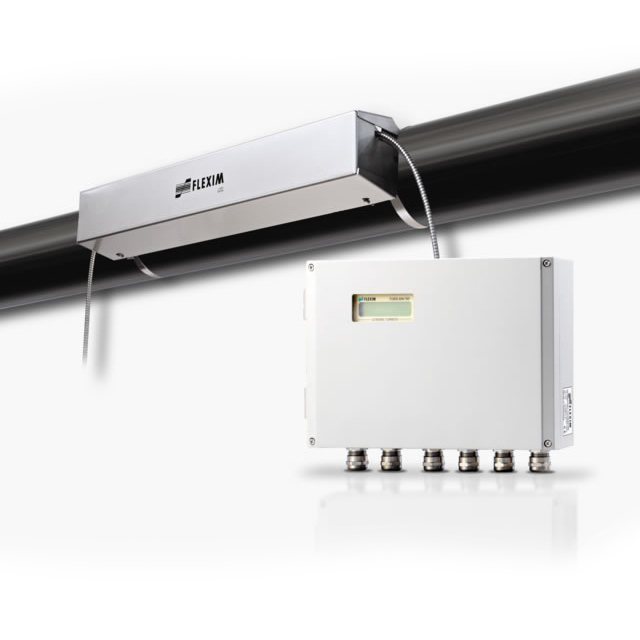 The flowrate as well as inlet and outlet temperatures are accurately measured and the energy is automatically calculated and presented in engineering units. A choice of output options includes 4-20mA, modbus and BACnet for seamless integration with building automation systems. For process temperatures exceeding the +200C rating of Flexim’s high-temperature transducers. The WaveInjectors thermically separates the transducers from the hot pipes allowing for reliable and accurate operation up to +400C. The product range of the FLUXUS® series includes transmitters and transducers which can be used in potentially explosive areas as well as in applications where a SIL2 qualification is needed. Paired transducers ensure high measuring accuracy of the measuring systems. Calibration is carried out on individual calibration equipment according to national standards. 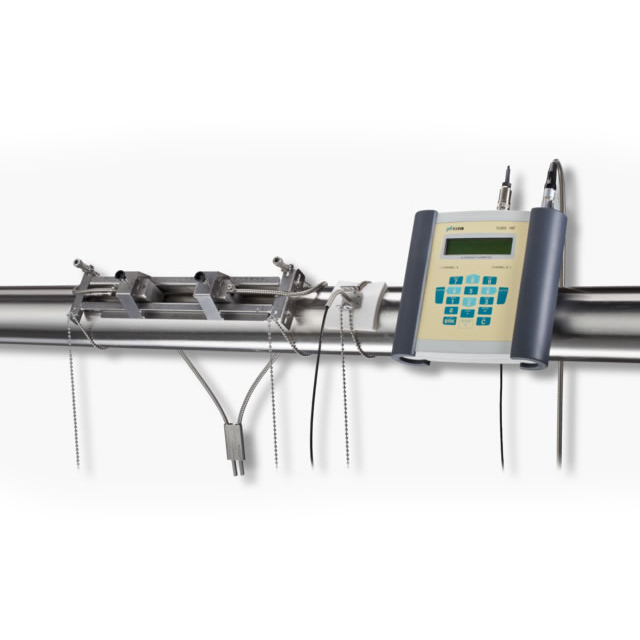 FLEXIM calibrates pairs of transducers and measuring transmitters independently of one another so that the narrowly defined measurement uncertainties are always observed, regardless of which transducers are used with which measuring transmitters. Flexim offers a range of meters both portable and permanent for the accurate measurement of liquids and gasses in potentially hazardous areas. Do you prefer one of our experienced field service techs to come to site to do the measurements for you ? We offer short and long term measurements and flowchecks on both liquids and compressed air and gas. A report is available at completion. In addition, we have broad experience from just about all types of flowmeter technologies and can offer technical advice on many issues relating to your existing flowmetering equipment. Pricam Automation is the official distributor of the Flexim range in Victoria and Tasmania offering sales, commissioning and support. For distributors in other states of Australia, please call and we’ll put you in touch. Need more information about flow meters or your specific application needs?